Alice Tripp, Legislative Director of the Texas State Rifle Association, left, shakes hand with Texas Gov. Gregg Abbott, center, following a roundtable discussion to address safety and security at Texas schools in the wake of the shooting at Santa Fe, at the State Capitol in Austin, Texas, Wednesday, May 23, 2018. Survivors of last week's shooting at a high school near Houston told gripping stories of dodging bullets, hiding from the attacker and seeing classmates get shot as they pleaded with Texas Gov. Greg Abbott on Thursday for more armed security to keep campuses safe. 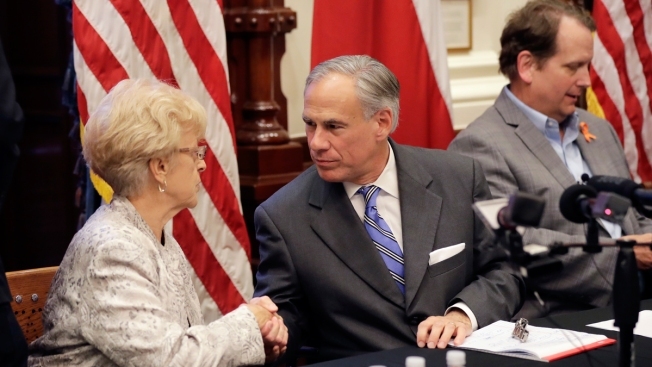 The emotional three-hour discussion marked the end of three days of meetings Abbott held on school safety and mass shootings. And while the governor has appeared to embrace ideas of boosting security and tracking student mental health, there is little expectation the staunch gun-rights supporter will push for major changes to restrict owning firearms or buying them. The Republican, who is campaigning for re-election, organized the mostly closed-door meetings shortly after eight students and two substitute teachers were fatally shot inside Santa Fe High School. 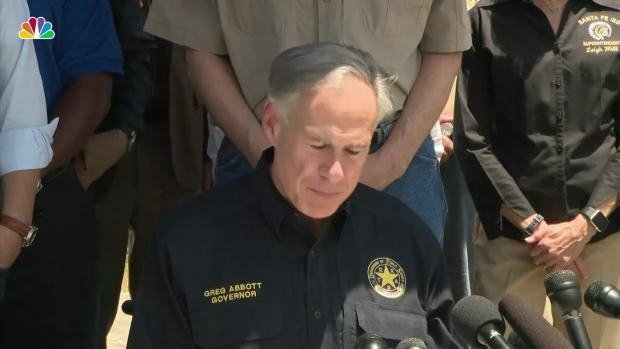 Abbott said he wanted to find "swift and meaningful" ways to stop future shootings. 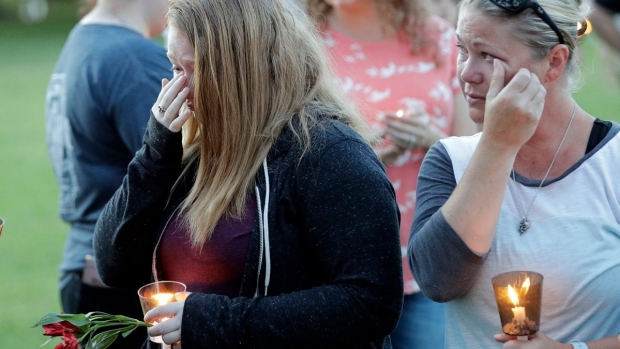 He hasn't said when or what he'll recommend, but told the survivors and their families Thursday "we are going to do more than just talk, we are going to act." So far, the governor has ignored calls from a handful of state lawmakers from both parties to call the Legislature into special session to address gun laws, which is a sharp contrast to the response in Florida after a high school shooting in February killed 17 people. Three weeks after that massacre, Florida politicians, who were already in session, passed a gun-control package after a lobbying campaign led by student survivors of the attack. Lawmakers aren't scheduled to meet until January 2019 in Texas, a state that embraces its gun-friendly reputation and has more than 1.2 million people licensed to carry handguns. And unlike the students in Florida, several students at Santa Fe High School have been vocal opponents of increased gun control, including some of those who were invited to meet Abbott on Thursday. The only tweaks to gun safety Abbott mentioned as possibilities were stronger laws on gun storage and reporting of lost or stolen weapons, and quicker reporting to law enforcement when a court order denies someone access to a firearm. Several of the families who met with him Thursday said they didn't want to talk about gun restrictions or the politics of gun rights. "This is not a gun thing," said Jay Horn, whose son was injured in the shooting and hospitalized. "Evil's going to happen with anything." Abbott has signed bills in recent years that reduce the cost and training needed for a handgun license and expanded where handguns can be legally carried. During a National Rifle Association meeting earlier this month, Abbott said the violence problem isn't caused by guns but by "hearts without God." This week's meetings included representatives of both gun rights and gun control groups. However, Alice Tripp, legislative director of the Texas Rifle Association, an affiliate of the NRA, said her group found "no common ground" on gun restrictions and would be cautious of anything that would deny access to buy or own guns. Thursday's meeting included more than 30 students, families and staff members from Santa Fe High School. Scot Rice described hiding behind a parking lot garbage bin, hearing bullets whiz by as he could see his wife Flo, a substitute teacher, pretending to be dead after getting shot. She survived. A police officer was able to carry her to safety. Also attending were two survivors of the November church shooting in rural Sutherland Springs, Texas, that left more than two dozen people dead. Stephen Willeford, the church neighbor and former NRA gun instructor who was hailed as a hero for grabbing a rifle and firing back at the attacker, also was at the meeting. Several students and parents said schools need more armed security guards and armed teachers to prevent attacks. Texas law allows school districts to arm teachers who pass training courses and they must keep their guns concealed. Others debated whether schools should have metal detectors. 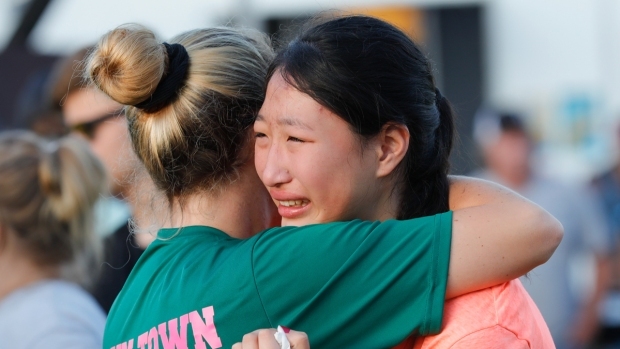 "Arming teachers, and not knowing who is armed, that is what we need," said Grace Johnson, a Santa Fe senior who hid in a band room attic during the attack. "I cannot tell you how much safer I feel in public with my father having a gun on him." Johnson said her government class wrote to Abbott's office in February after Santa Fe High School had a three-hour lockdown that month, shortly after the shooting at the Florida high school. "We wrote letters to you, my entire government class, on why is this happening and what can we do to fix it. We didn't get anything back. We didn't get acknowledgement," she told Abbott. "It finally happened to our school and we weren't surprised. ... It's happening everywhere." Abbott spokeswoman Ciara Matthews said the governor's office has no record of the letters, but that Abbott "appreciates the time Grace took to bring her concerns directly to him today." Better security, metal detectors and new programs to track student mental health would cost money, and the state's public schools are already living under strained budgets. The Texas State Teachers Association has resisted calls by Texas Republicans to arm more teachers. Texas Democrats urged Abbott to address gun issues. "Greg Abbott's track record is that nothing of substance will come out of this that keeps weapons out of the hands of school shooters," said Manny Garcia, deputy director of the state Democratic Party. "Texans need leadership at a time when they are afraid to send their kids to school." Rhonda Hart, a military veteran whose daughter Kimberly Vaughan was killed in the Santa Fe shooting, has been outspoken this week on the need for more gun control. She wasn't invited to the meetings this week. "You should have to wait a week, have counseling and walk through lines of protesters who tell you you're a murderer" to buy a gun, Hart said.